Back cover blurb: FROM THE AUTHOR OF THE SISTERS - ONE OF THE BEST SELLING DÉBUTS OF 2015 - COMES A TENSE PSYCHOLOGICAL THRILLER RIPPED STRAIGHT FROM THE HEADLINES . . . Twenty years ago 21-year-old Sophie Collier vanishes one night. She leaves nothing behind but a trainer on the old pier - and a hole in the heart of her best friend Francesca. Now A body's been found. And Francesca's drawn back to the seaside town she's tried to forget. Perhaps the truth of what happened to Sophie will finally come out. Yet Francesca is beginning to wish she hadn't returned. Everywhere she turns are ghosts from her past. The same old faces and familiar haunts of her youth. But if someone knows what really happened to Sophie that night then now's the time to find out - isn't it? Except sometimes discovering the truth can cost you everything you hold dear - your family, your sanity and even your life. . . .
Local Girl Missing is a gripping novel with an unsettling subject at it's heart. Sophie Collier has been missing for more than a decade, presumed drowned after a drunken night out. Francesca (Frankie) Howe is a successful hotel manager, living and working in London, worlds away from the quiet seaside town that she grew up in. Once the pair were the best of friends despite their different backgrounds. When Sophie's brother, Daniel calls Francesca with reports of a body part having been found by the local police, Francesca is at first reluctant to return to her home town. If Sophie's body has been found, then surely they can all just draw a line under everything and move on with their lives. Told from both Sophie (past) and Frankie's (present) perspectives, Local Girl Missing is one of those novels where it is very difficult to know who to trust. I found both of it's narrators an unreliable source of information - although this does change dramatically in the later part of the novel just prior to its dramatic conclusion. 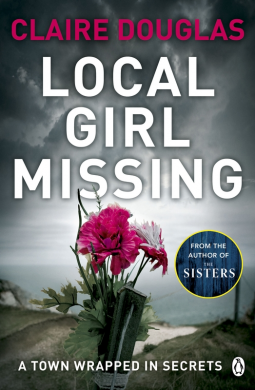 Local Girl Missing is a very enjoyable novel and I look forward to the authors next. Local Girl Missing is available from 11 August 2016.